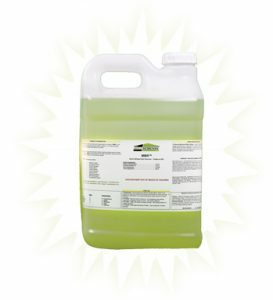 MMR mold stain remover from www.fastmoldremoval.com offers the most effective mold and mildew stain remover on the market. Frankfort, IL, November 5th, 2012 Many homes, businesses and schools have experienced moisture damage resulting in mold growth. Just recently, Hurricane Sandy caused massive destruction and property damage to many parts of the East Coast. Some estimates have put the damage at approximately $20 billion. Much of the damage was caused by heavy rains, wind damage and flooding. Once moisture enters a structure, it only takes 24- to 48 hours for mold to begin growing. Mold can cause a host of medical concerns ranging from allergies and asthma triggers to fungal infections in susceptible individuals. To help people prevent exposure to elevated levels of mold indoors, MMR mold stain remover was developed by Mold Solutions International. MMR eliminates mold and mildew stains by using a powerful cleaning agent that penetrates soiled areas almost instantly, leaving surfaces clean and free from mold stains. “Whether from a devastating natural disaster, like Hurricane Sandy, or due to problems with humidity or a broken pipe, it’s important to have mold removed quickly and safely from any indoor environment,” reported Chris Heller from Mold Solutions. “MMR mold stain remover was developed to do just that. 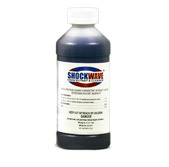 It is a safe, biodegradable, and non-flammable commercial grade mold stain remover that has been formulated to work on wood and other porous surfaces. This unique product is available for immediate shipping to those impacted by Hurricane Sandy and others elsewhere who have concerns over mold growth in their homes.” Mold Solutions has developed an online video that showcases MMR’s effectiveness and ease of use. It can be seen at: To learn more about MMR mold stain remover and how to safely remove mold from indoor environments, please visit https://www.fastmoldremoval.com, email mmr@moldsolutionsintl.com or call 708-441-7982. About Mold Solutions Mold Solutions is a Frankfort, IL, based company. 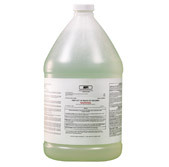 It manufactures MMR mold stain remover, the world’s premier mold stain remover. MMR is a commercial grade mold and mildew stain remover formulated to immediately eliminate mold and mildew stains present on wood and other hard surfaces. MMR penetrates soiled areas almost instantly, leaving surfaces clean and free from mold stains. The biodegradable product is manufactured weekly in the United States and shipped on demand to contractors, home owners, and building occupants. Mold Solutions distributes MMR, personal protective equipment and other mold remediation products through www.fastmoldremoval.com.